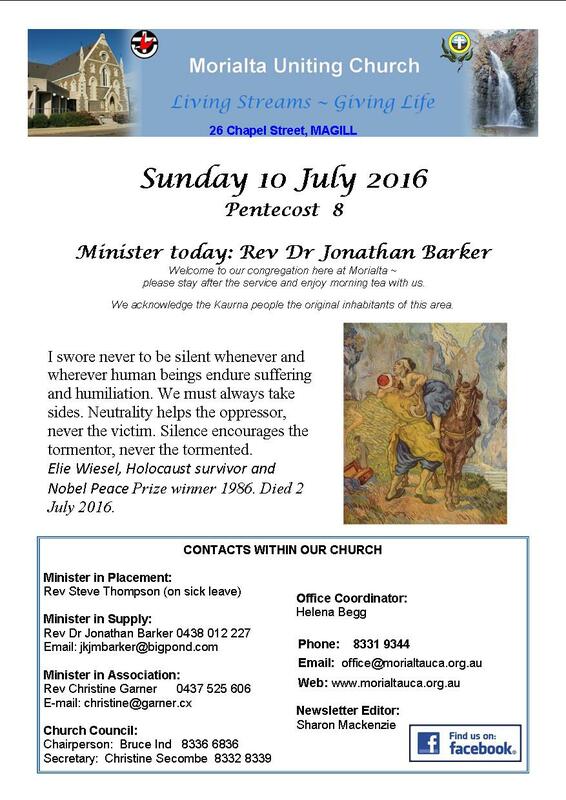 Each week Morialta produces a newsletter containing current and upcoming events. 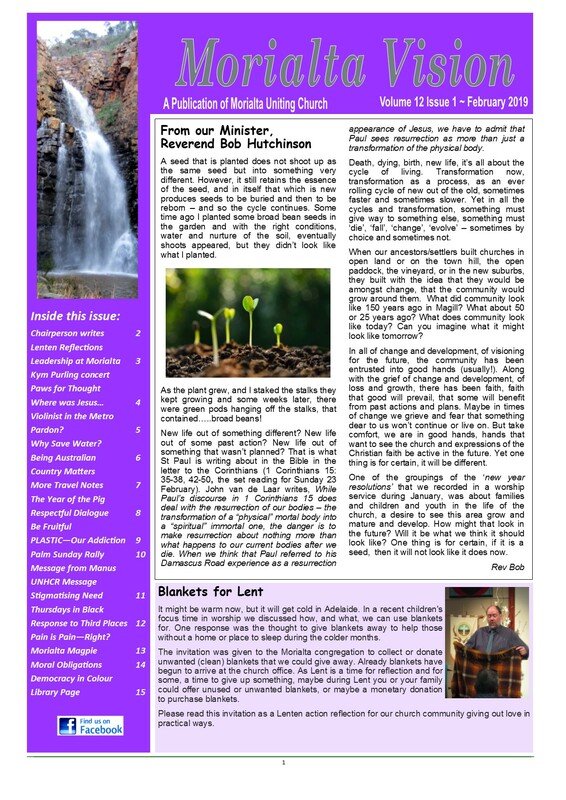 Please use the links below to access current and past newsletters. Morialta publishes the Morialta Vision magazine bi-monthly. Please use the links below to access current Vision issues. 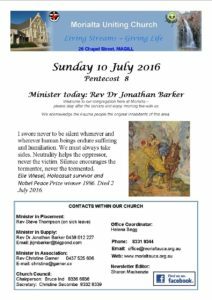 Morialta provides a weekly podcast of our readings and sermons – To subscribe to our podcasts or listen online click here. Once a month Morialta records the full service to enable other churches and people who cannot attend on the day can share our worship. Drivers with responsibility for providing transport for people associated with Uniting Church activities are requested to complete this form.